Looking for some backyard inspiration?! 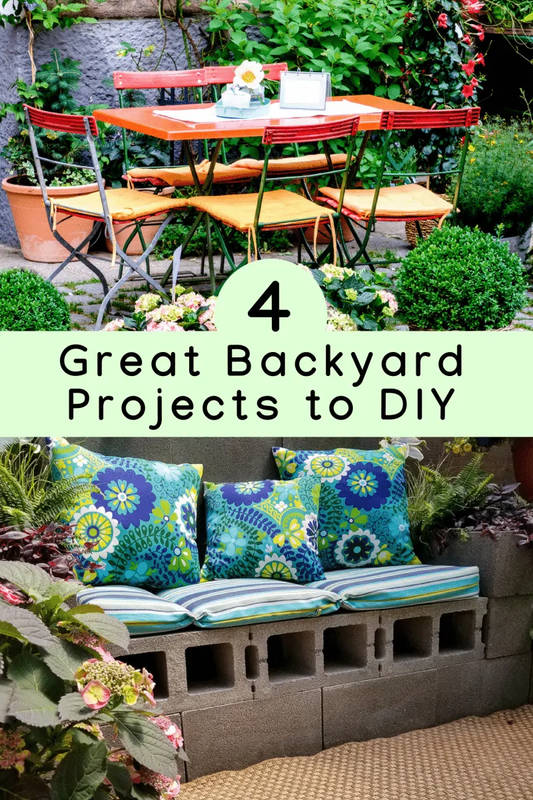 Check out these four awesome DIY backyard projects that you can start this weekend. It’s beautiful weather outside! The sunshine hours are stretched to their max, and you could really use some fresh air. So what’s stopping you from doing a yard project to beautify your home and make it more fun to be outside with your family? Although we love to slowly turn the pages of Better Homes and Gardens, wistfully imagining the world-class yard we’ll have someday, few of us really have the grit to get down in the dirt and make things happen for our own yard. It can feel intimidating. After all, don’t you need a woodchipper, a leveler, a cement mixer, or a power washer in order to get things done? Why don’t we eat outdoors more often? Whether you enjoy cooling evenings by serving dinner outdoors, or you make a little picnic for your children to enjoy at midday, having a dining area can maximize the use of your yard, and make the whole outdoor area look much more approachable. 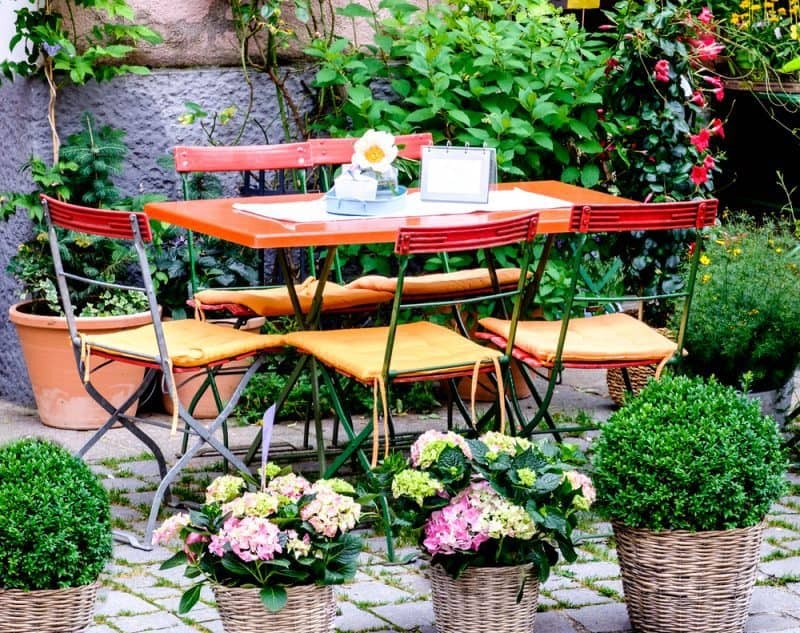 So what does an outdoor dining area take? Well, mostly just a table and chairs! You can buy picnic tables for a reasonable rate at a home improvement store. You can save even more by getting one that you assemble yourself. All it will take is some sanding and power tools. Make the area more homey by adding some smart decor elements. Most things will take a beating from the elements, so looking into decorative wrought iron, and decor that incorporates plants will be your best bet. Here are some planter ideas that can help you define borders around your dining area, and add some visual appeal to the area. If you want to get more ambitious and upgrade from a dining room into an outdoor kitchen, check out this link. There are some useful tips that will give you long-lasting and highly usable results. But remember: you don’t need to have a fully-equipped outdoor kitchen in order to enjoy outdoor dining in style. It’s hard to feel like your backyard is a liveable space if it’s exposed to passing traffic. Putting up a fence or wall can immediately make an area feel personal and comfortable. And while installing a fence or wall might seem like a huge undertaking… it doesn’t have to be! A really beautiful (and more simple than it might seem) way to put up an easy wall that will look beautiful is utilizing living plants. There are so many climbing vines that will turn simple chainlinks into a beautiful space. Check this link for great ideas. Make sure that you choose a location that will give the plants in the wall the right amount of sunlight. Shade during the hottest hours of the day will help them stay cool. Plants in a living wall need this especially because they don’t have the option of reaching their roots farther into the ground for cool water. You’d enjoy your yard a lot more often if there were places to enjoy it from. Few of use take walks for our health around the yard, and fewer more like to sit in the lawn on any given day. So instead, create some beautiful resting spaces with garden benches. Benches from the store can be pricey, but a place to sit really doesn’t have to be that complicated. Check out this awesome guide to making a DIY bench yourself just using beams and cinder blocks. See? I told you you could handle this yourself. Pro tip: These DIY benches can be used in your outdoor dining room to great effect, as well. So, you like the idea of gardening, but you don’t really know where to start. Well, there’s still time to make yourself a small pallet garden to practice on. There are a lot of benefits to a pallet garden. For one thing, you don’t have to worry about as many weeds and bugs interrupting your garden, since you’ll have your plants and soil separate from the existing ecosystem. 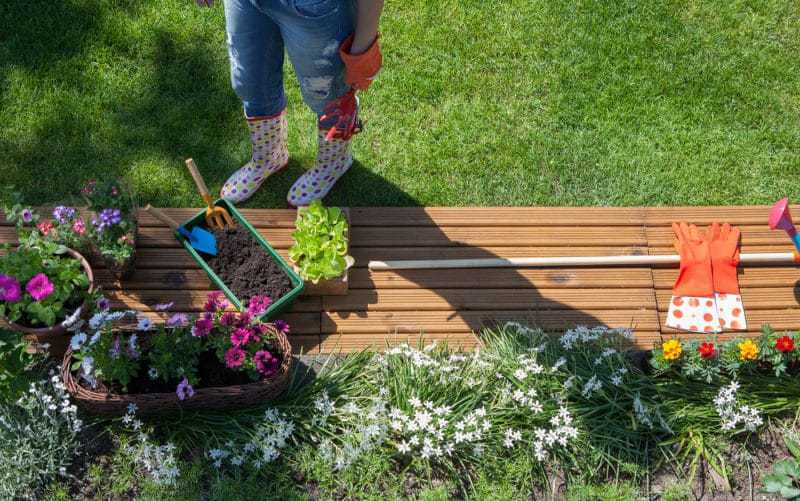 You can equip your mini-garden with only the best soil, and you can make clear rows in the slats of the wood so that there’s less water evaporation and less access for weeds. Finding a pallet to use will probably be the hardest part, but you can usually find them given away for free in warehouse and industrial areas. Take the pallet home, separate it from your yard’s dirt with a small tarp, and fill it with good gardening soil. Since you’re starting later in the season, don’t start a long-haul project like growing tomato plants from scratch. Plant some radishes, some fast-growing runner beans (with space for them to climb) and perhaps strawberries. This mini-garden is the perfect place for your to practice your skills! Awe how cool thank you for these DYI projects. They seem very easy to and fun to do!! These are all fantastic DIY projects.I would love an outdoor dining area. Thank you for the super inspiration! 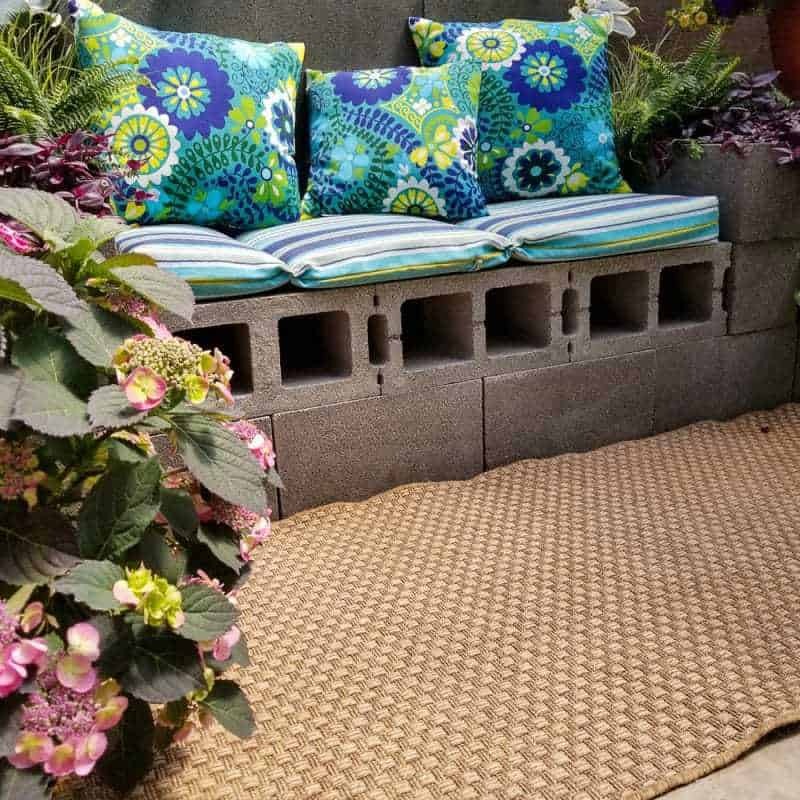 We made a DIY planter with cinder blocks before, and it made all the difference! Colorful and functional.